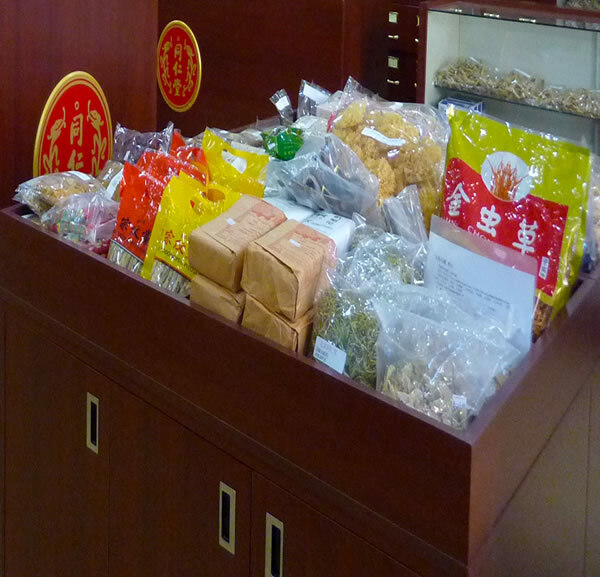 Many of the Chinese' daily food are related to hebal medicines, in terms of their contribution to health and wellness. They often contain nutritions that are important elements for sustaining good health. Elements such as iron, calcium, potasium, collagen etc. can be found in the daily use of dried food, which are used for making soups and drinks. jinchongcao, yiner, yuner, qizi, danggui, dangshen, huangqi, dajiao, shanyao, qianshi etc. For a complete list, please visit our stores or call to enquire.